The home video gaming console that has been developed by the Sony entertainment is referred to as PS 3 which stands for play station 3. It is was released in the year 2006 in Japan and it was a successor to the PS 2 or the play station 2 console that was released before this model by the same company. It is to be noted that the AVCHD has been highlighted and it has been included in the list as well which clearly shows that the format can be played and it is supported by the Play station which makes sure that the best is provided to the user and they get the results in line with the requirements without getting into any hassle. It is one of the best and most advanced video gaming consoles that have ever been developed and it is also to be noted that the Play station 3 system OS or the software has been used to make sure that the player run at full capacity and gets the best results for the user. It is also been regarded by the people from all over the world due to the fact that the Sony Entertainment has taken a step forward and has made this program as a console which also plays different DVD’s and CD’s with ease and satisfaction. It is also to be noted that the best thing in this regard is that the console can be used in a multi dimensional way in this regard. 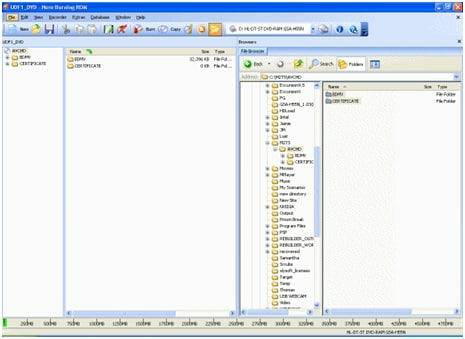 There are tens of thousands of lists that are pulled up as soon as the related PS3 formats are searched for and it is advised to make sure that the user gets the best result by opening and browsing different results so that if there is any ambiguity regarding the format support of the PS3 then it could be removed with ease and satisfaction. When it comes to the list that has been provided above the source of the list is the URL http://manuals.playstation.net/document/en/ps3/current/video/filetypes.html and it is the official manual that has been published by the Sony Inc. which the users can refer to make sure that the best provided to the users without any issue and problem. It is also advised to the users to get the best result by following the instructions and the list that has been located at the mentioned URL as it will make sure that the official website is not only browsed but the user gets the best details that are right and in a manner that is the easy for the user to follow. 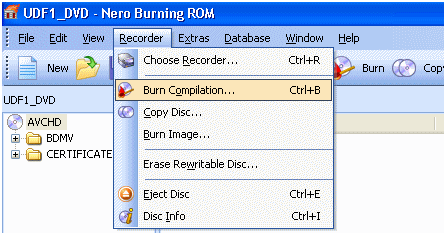 Step 1 The Nero burning ROM should be downloaded from the URL http://www.afterdawn.com/guides/archive/burn_avchd_with_nero_burning_rom.cfm to make sure that the program is downloaded and installed and once it has been done it is to be launched. 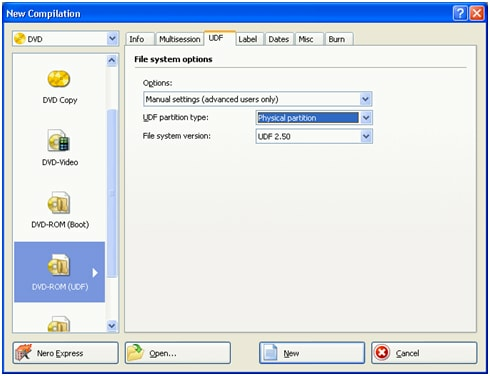 Step 2 The UDF partition is then to be changed to Physical partition so that the use of the program becomes easy for the user. Step 3 The user now needs to make sure that the AVCHD folders are added to the compilation. Step 4 The Path that is now to be followed once the folders have been added to the compilation is recorder > burn compilation to make sure that the process that lies at the core starts. Step 5 The use now needs to make sure that the write speed is now selected from the window that pops up. Step 6 The burning process will start and the following window will appear. Step 7 The user then needs to make sure that OK button is pressed once the final window pops up and it also finishes the process in full. The subject of this tutorial is regarding the most advanced and the state of the art format that has the extension of .mts and .m2ts and for the same reason it is also to be noted that the camcorders that have been developed by Sony and Panasonic make sure that the user gets the best results in this regard and when it comes to Play station then the terminologies have been deployed by the same organization and for the same reason it could be safely regarded that the PS3 can play the AVCHD videos and the related disks with ease and satisfaction. It is also to be noted that the AVCHD format is a heavy one and the users regard it as one and only disadvantage in this regard but to be precise this huge size and disk space occupation is a guarantee that the user will get the best results and will make sure that the quality is never compromised.